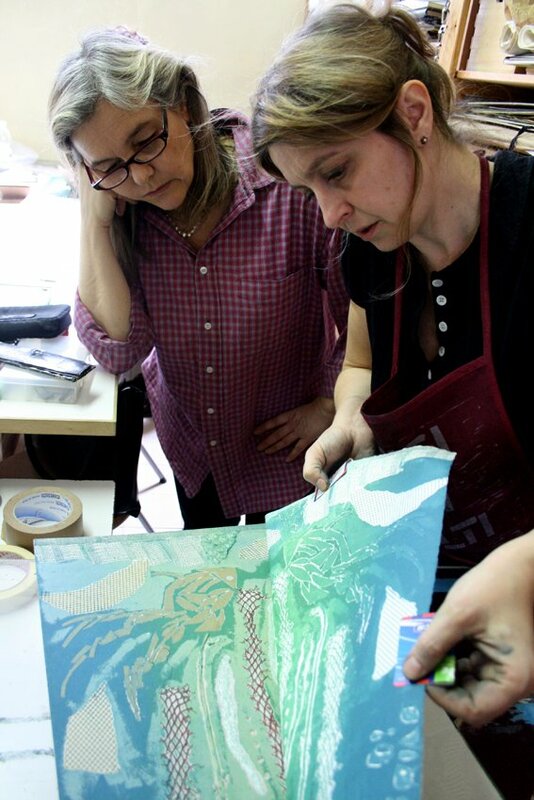 Through a collaboration of A14/Daniela Lorenzi and Professione Libro/Cristina Balbiano d’Aramengo, the theme of this new series of workshops proposes bookbinding and original print making techniques as instruments for graphic design project planning and production. 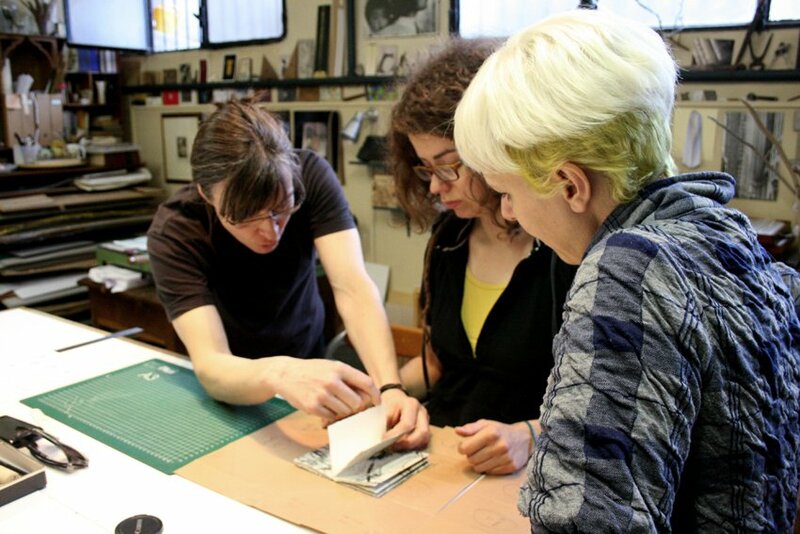 Intentionality, technique, form, content, and language are all elements which equally contribute to the successful design, planning, and creation of a book or a folder. 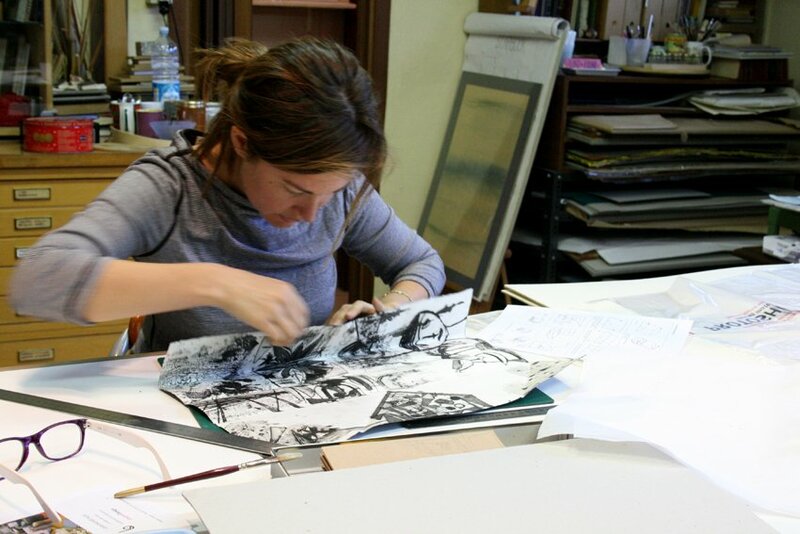 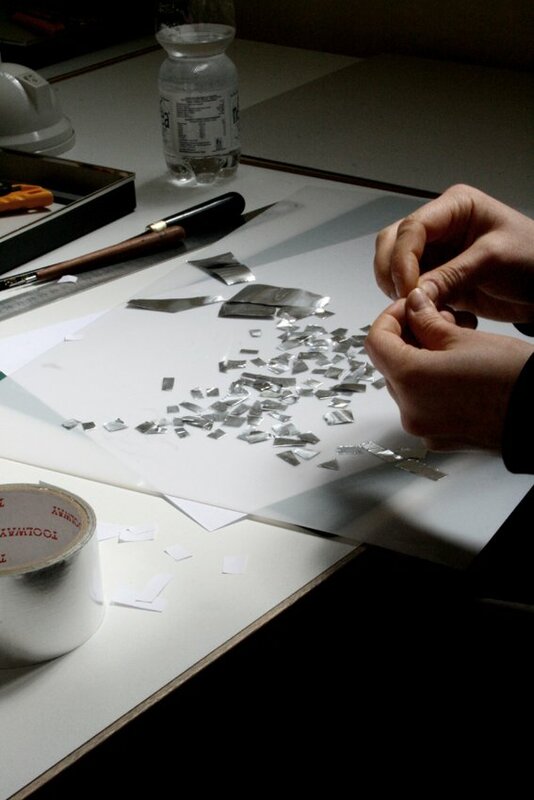 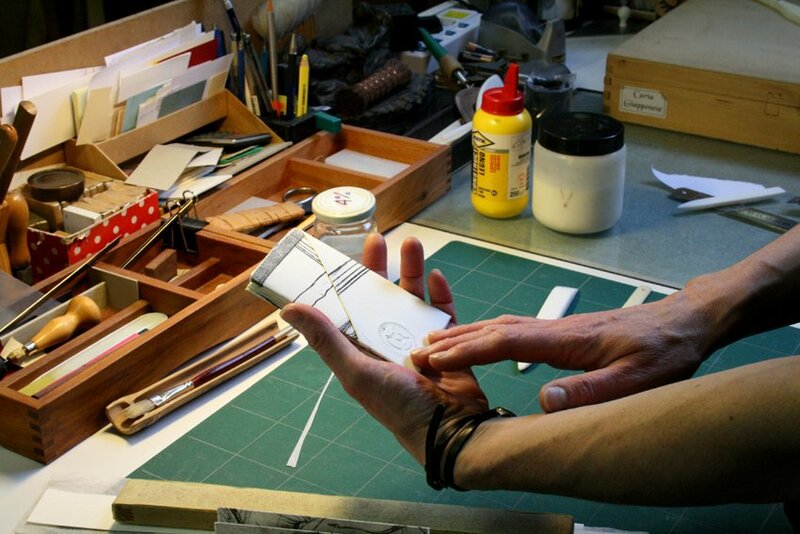 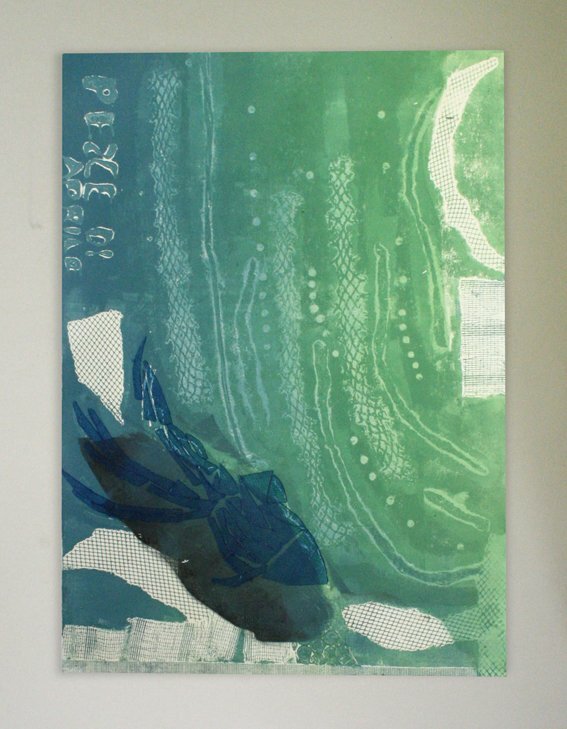 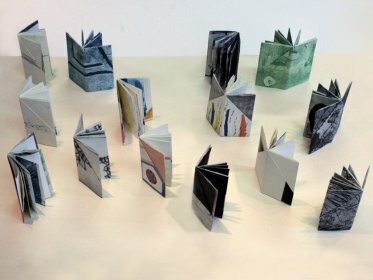 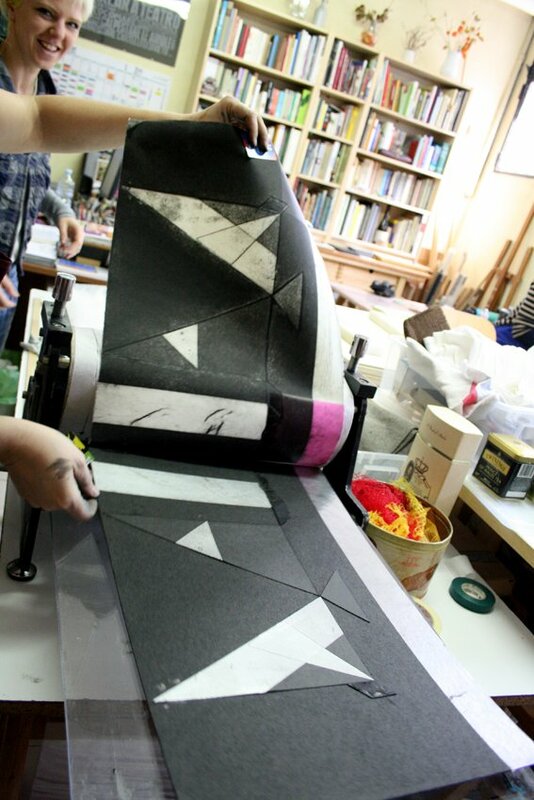 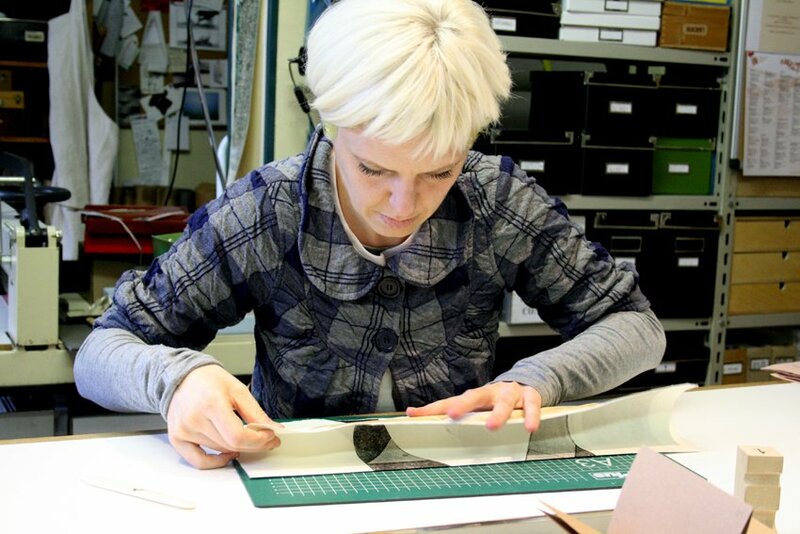 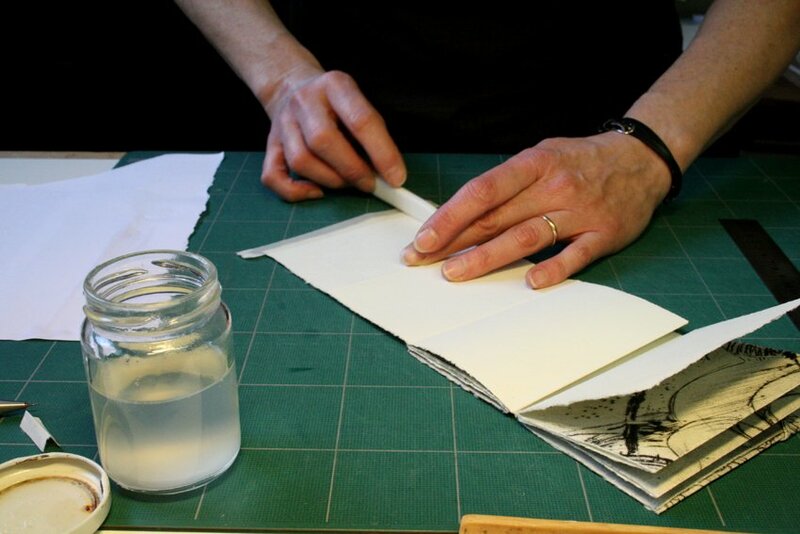 The workshops provide an opportunity to closely look at the world of small publishing houses and limited edition artists books, and draw inspiration from artists and graphic designers projects, as well as from significant experiences in bookbinding. 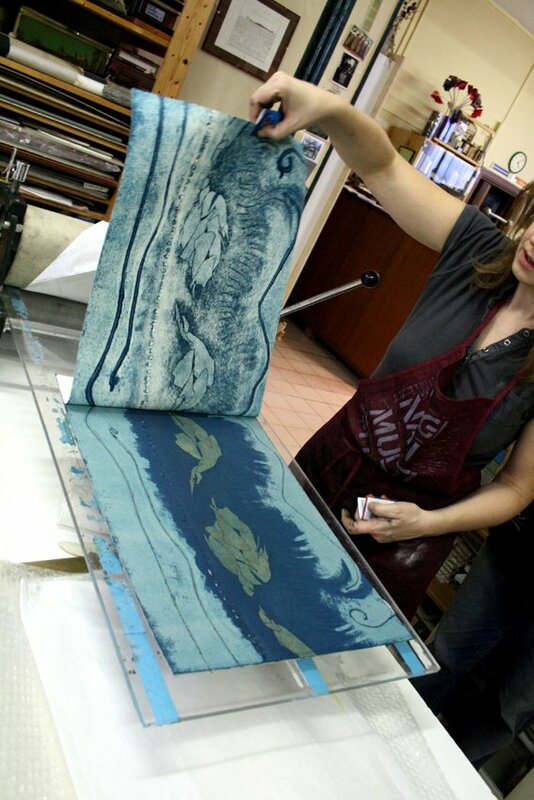 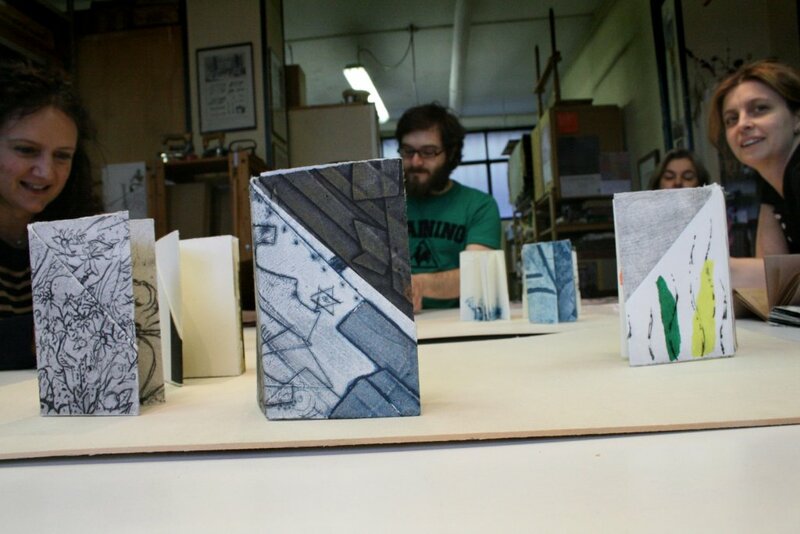 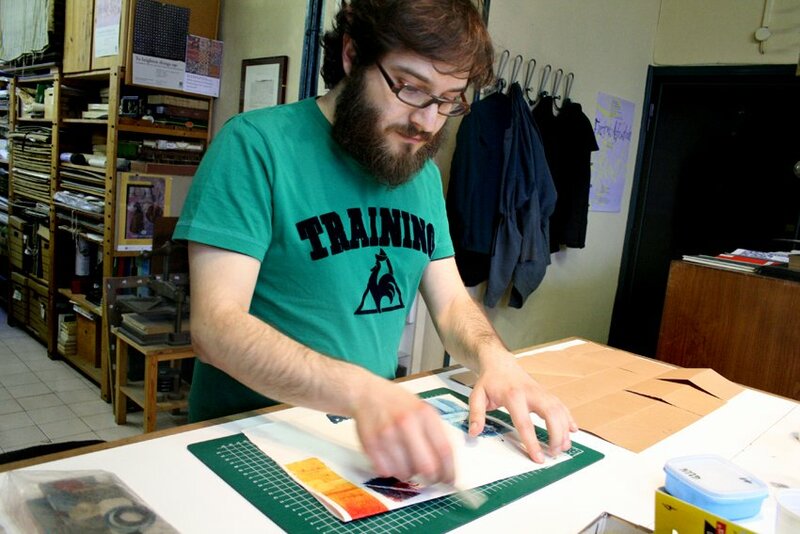 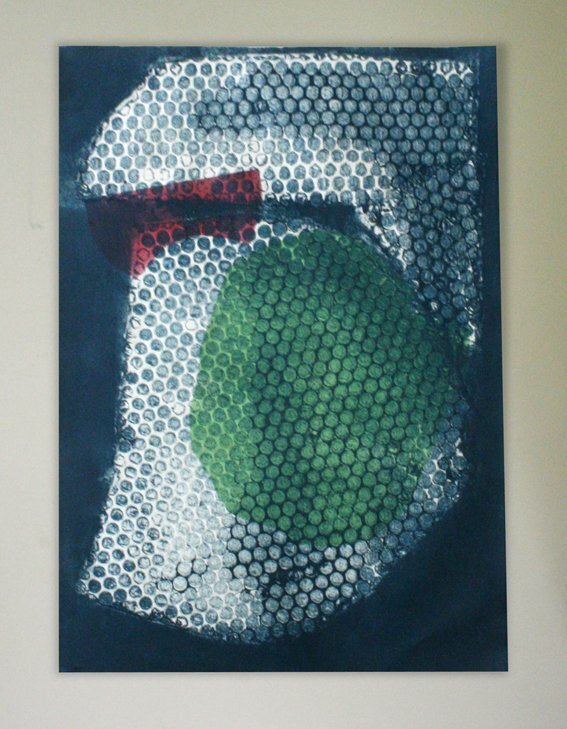 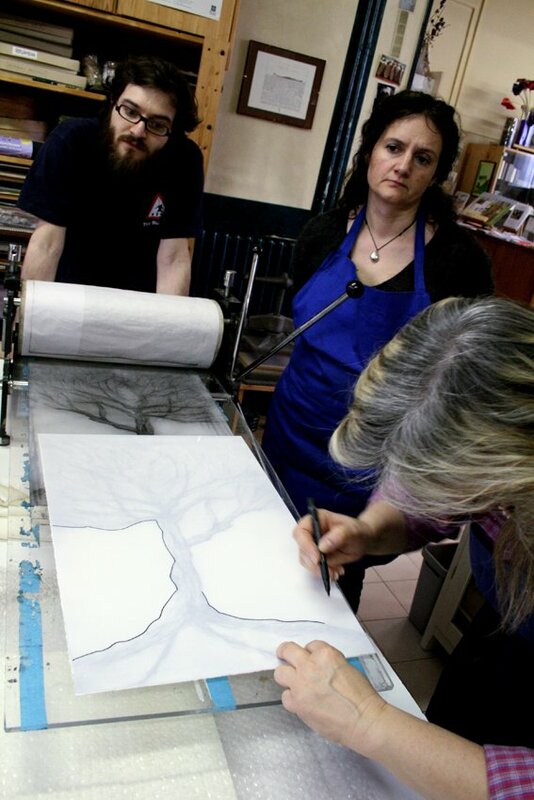 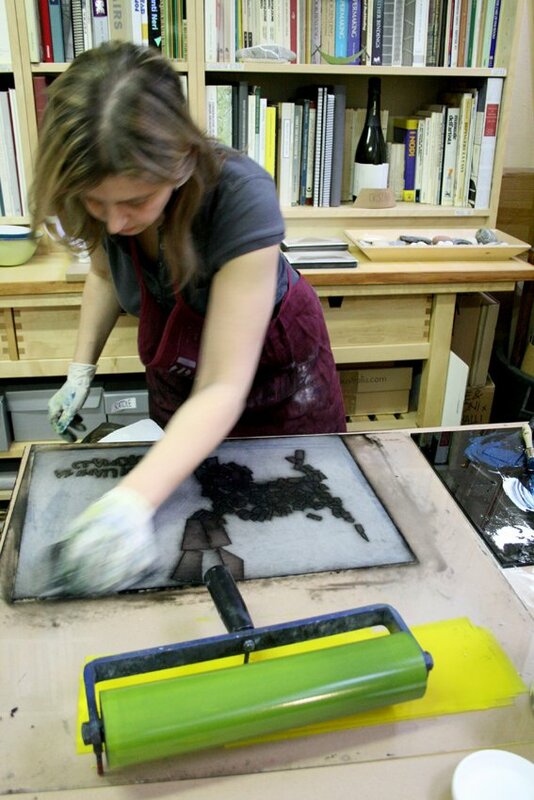 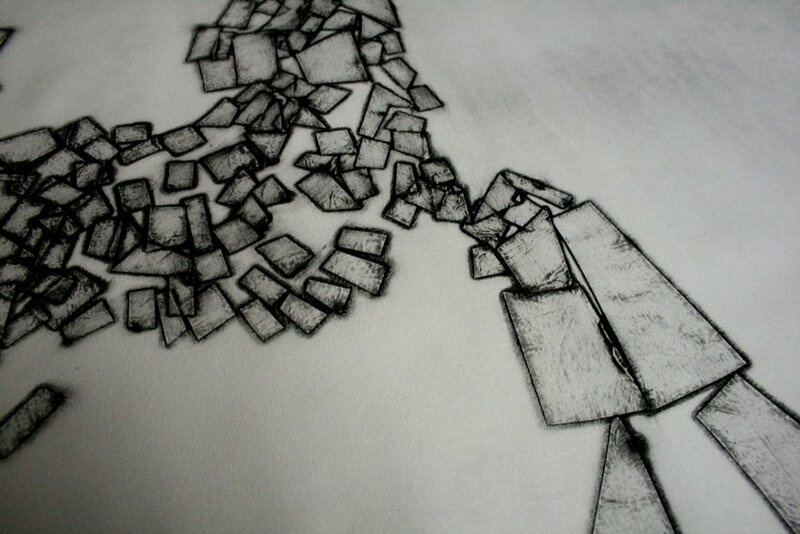 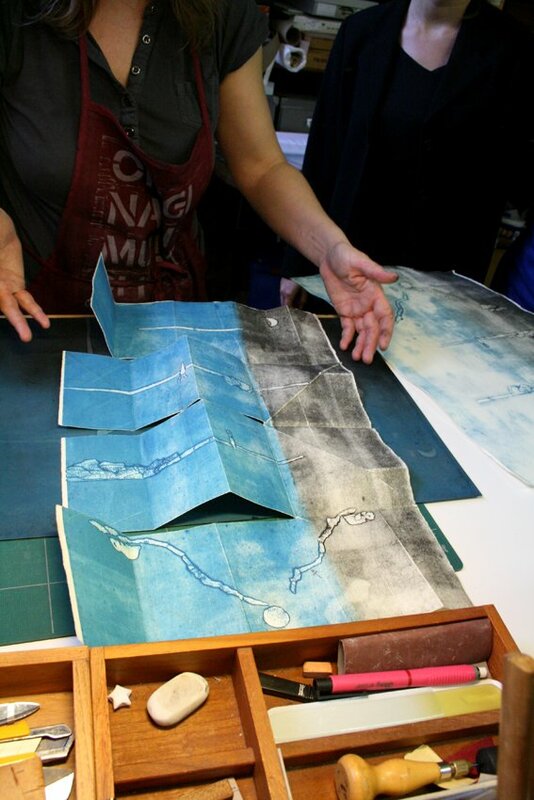 In this workshop we will learn how to make booklets by first creating the matrices and then printing their impressions through the etching press using sheets of 100% cotton paper. 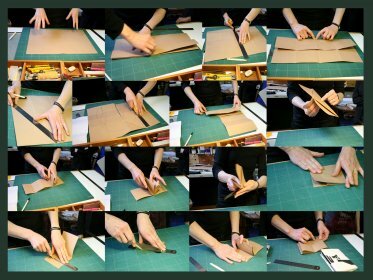 We will learn different techniques used for creating different types of matrices or plates, employing some of the materials commonly used in bookbinding, such as thread, cord, paper, cardboard, cloth, adhesive tape, cotton or linen gauze and binding, etc. 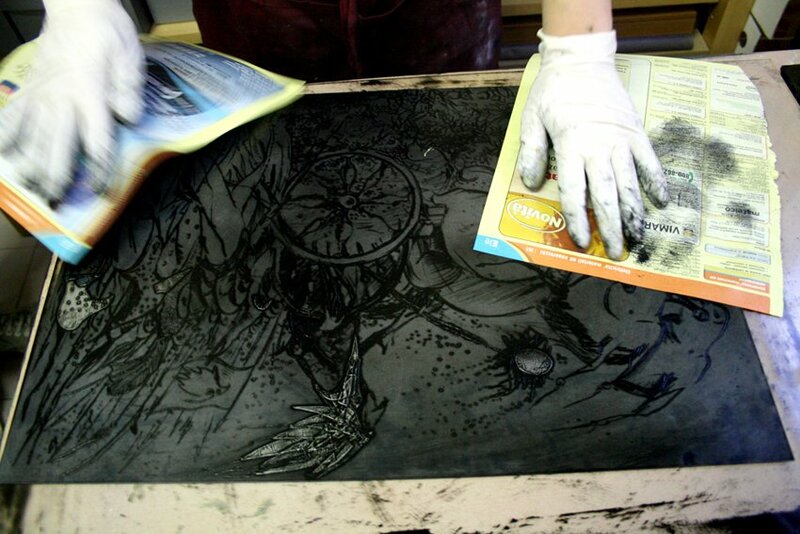 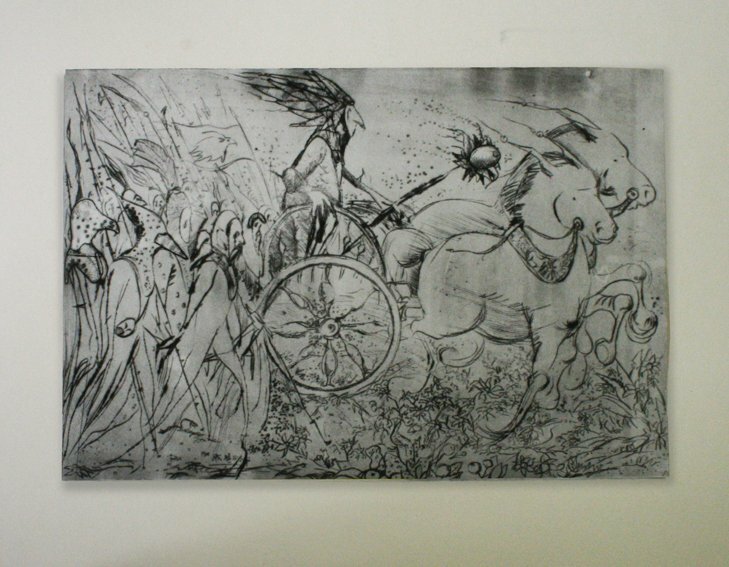 These plates will then be inked and printed with a hand press to produce interesting patterns. 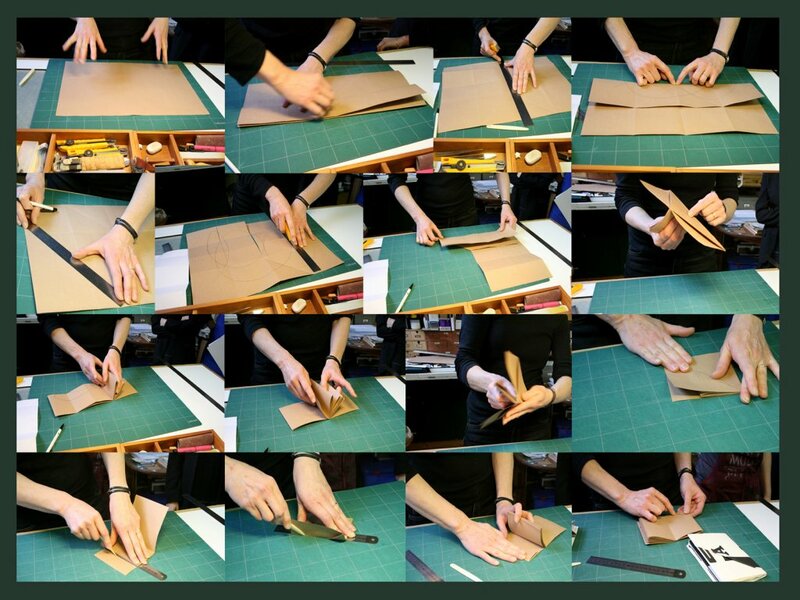 The impressions thus obtained will then be folded, cut and bound according to an original model of bookbinding, interesting in its apparent simplicity yet quite demanding from the point of view of composition and arrangement.